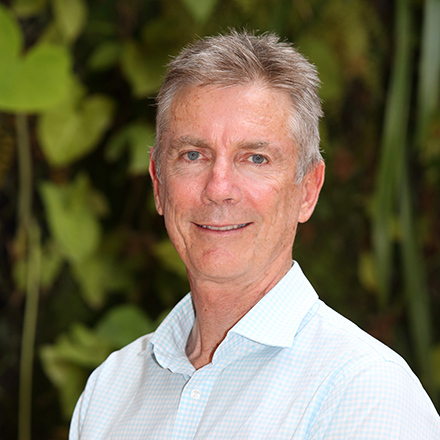 Professor Bill Bellotti has more than 30 years’ experience in leading agricultural production system research in southern Australia, western China, and eastern India. Professor Bellotti’s research in China and India has focussed on sustainability and food security, and more recently on the linkages between diversification of cropping systems, dietary diversity and empowerment of women farmers. His research interests include the application of Life Cycle Assessment approaches to Australian food systems. This interest includes the development of concepts such as sustainable diets and food footprints. On 24 March 2017, Dr Harley Pope, IFSTAL Education Coordinator at the University of Reading met with Professor Bellotti and asked him to share his thoughts on food systems thinking. HP: What food systems research are you currently working on or have you worked on in the past? I can give you two examples. The first one is on agricultural research for development in East India. It is a project funded by the Australian Centre for International Agricultural Research (ACIAR), and it’s basically trying to diversify a rice based cropping system into much more vegetable cropping, oilseeds and pulses. The reasons we are doing this are to increase livelihoods, increase income, increase productivity, diversify the production system, and diversify diets, and do it all in a participatory way that empowers women farmers. The second example is only a proposal at the moment. We’re seeking funding from the Australian Research Council to look at stress testing the Australian food system. This would be around resilience and the preparedness of the Australian food system to future shocks and stresses. To do this requires a very diverse and wide engagement with stakeholders across the food system. The focus is on Australia but also key trading partners in China, Japan and India. We are trying to capture a diverse understanding of what the main future stresses and shocks will be. They could be things that we’re relatively aware of, such as climate change, or things that are difficult to predict, like political upheaval in one of our trading partner countries, or even war in the South China Sea, which would disrupt trade. We will also consider biophysical things like an outbreak of a disease or pests, or that kind of thing. The research will involve firstly getting a shared understanding of the food system. Then identifying priorities stresses and shocks; the vulnerability of the food system to those stresses and shocks, and then what impacts that will lead to. Eventually, we want to discover what interventions or preparations we need to make to improve resilience to those stresses and shocks. HP: Why is a systems approach important to your work? I think there are three reasons why I am attracted to systems. Firstly, it requires you to look at the interconnections between key components. Focusing on how one component will connect or influence another component. A characteristic of systems, and systems approaches, is deciding in a deliberate way where you draw the boundaries of a system of interest. Where we draw the boundaries determines what we focus on, what’s included in the research, and conversely, what’s excluded or marginalised from our research. Deliberate focused drawing of boundaries is a very important and often overlooked part of doing research. The systems approach brings that to the fore, and ideally involves wide and diverse stakeholder engagement around critiquing boundaries. The second reason is to attempt to avoid unintended consequences. Too often when we go in with a particular intervention or research product, it will achieve its intended outcome, but there will be some other unintended outcomes. An example could be that the obesity epidemic is an unintended consequence of our current food system, with its focus on cereals and processed food. And then the third reason for a systems approach is to identify the promising points of intervention that might lead to improved outcomes. HP: What skills or qualities do you think are needed to address food system problems? It is interesting to reflect on what characteristics make for a good systems thinker. A general characteristic is self-awareness of your own knowledge, and your own values, and world view. I think it’s easy to be a successful researcher or a successful professional, but be largely ignorant of your world view or your values. Doing systems research requires you to be very deliberate and explicit about where your values are. That’s partly to do with where you draw boundaries. Thus, a characteristic of being a systems thinker is awareness of values and being a reflexive practitioner. Reflecting on your own practice, reflecting on the system of interest, and reflecting on boundaries would be high on my list of systems thinking attributes. A second characteristic, which I think is really important, is facilitation skills. Systems research often requires you to engage with a lot of stakeholders who are involved in the system of interest; people involved in the food system, such as people involved in production, processing or consuming food. We need to engage with a wide diversity of people, and often drawing out perspectives from this diversity of people. Facilitation of that process is a very valuable skill. When we think about traditional science education, in Australia at least, those two things – self-awareness and reflection skills, and facilitation skills – are generally neglected in the formal curriculum. So for systems thinking, those are two areas that need to be emphasised. A third area that systems researchers should be aware of is the philosophy of science. Most of us tend to avoid philosophical literature as it can be difficult to comprehend, but there are good reasons to persist. I’ve discovered in my own systems research practice that an appreciation of some of the philosophy underpinning science practice is a valuable aid for doing systems research. Sometimes it is necessary to defend the systems approach from traditional reductionist science practitioners, and a grasp of philosophy can provide strength and confidence. It is also reassuring to realise that our current efforts in food systems build on a long and rich history in general systems philosophy, methodology and practice.